My latest book launches today. I am so proud of this book. I hope it inspires gratitude and reduces stress for engaged couples and newlyweds. This is a special launch price of $0.99 for a limited time only, so get this bargain while you can. 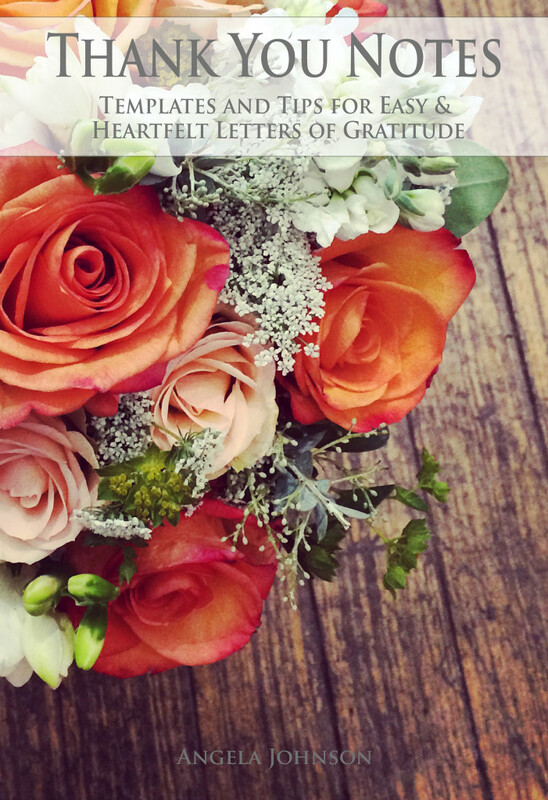 New Thank You Notes eBook launches today! 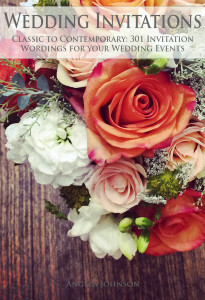 First time ever–my wedding eBook is FREE right now! For the first time since it’s first launch in December 2014, I am doing a free promotion for my first ever eBook, Wedding Invitations: Classic to Contemporary–301 Invitation Wordings for Your Events. Also, stay tuned for my next eBook launch, a (hopefully) helpful book on how to write painless thank you notes. See y’all again soon! April 15th-April 19th is your first chance to get my Baby Announcements and Invitations eBook for free! Click below to buy on Amazon. Second Book Launched–Baby Announcements and Invitations! From baby showers to first birthday parties, this book has over 301 ideas and etiquette rules for how to word your baby announcements, showers, parties and gatherings. 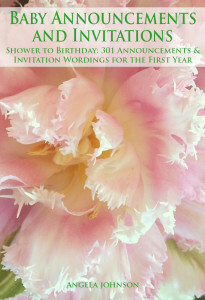 Whether you print your own, send electronic invitations or use a traditional flat printer or engraver, this book will guide you through the rules of etiquette and formatting, from classic “ladies only” showers to co-ed gender reveal parties, know what to say and when to gracefully add registry information. Need to know how to word birth announcements for triplets? See chapter three (No pun intended!) or combine with the traditional and creative announcement wordings and verses from chapters one and two. Are your first born or parents begging to be included? See chapter four and five for announcements issued by siblings and grandparents. We also have oodles of adoption announcement wordings and special adoption shower invitations, too. Part II includes Baby shower wordings, including co-ed and couples shower ideas, cute “Meet the Baby” invitations and wordings and verses for baptisms and christenings. This is a great reference book for new parents, grandparents, party planners and stationers alike. First book from Everything Invitation! Whether you are going DIY for your wedding invitations or using a traditional printer, you have to know the rules before you break them. Here are the rules of etiquette and formatting, from formal classic to modern contemporary. Including what to send and when, and how to get those reply cards back. Have divorced parents hosting? See chapter 2. Have a Judge for a father, a Doctor for a mother, a Minister or Colonel for a bride and groom? Chapter 4 is all you. For second marriages and blending of families, see chapter 7 . Commitment ceremony? Halloween wedding? Hosting your wedding in your own backyard garden? Great! With over 301 invitation wordings to choose from (okay, it is really 330, all told) one of these will feel a fit for your wedding. Yay! Here’s the central meeting place for Angela Johnson’s author page. Be sure to subscribe for freebies, new book notifications and exclusive promotions! I'm Angela Johnson and I've been graphic designing since 1998. Working with clients and friends over the years eventually made me develop a stock of invitation wordings for things like weddings, baby announcements, corporate events and all types of party invitations. Now that printing techniques and evites have changed so much in how we invite and announce our our lives and accomplishments, I've developed these eBooks to guide, enable and inspire brides and grooms, HR departments, party planners and all manner of hosts to DIY an invitation or evite, or pick a wording to provide to a graphic designer or traditional printer!